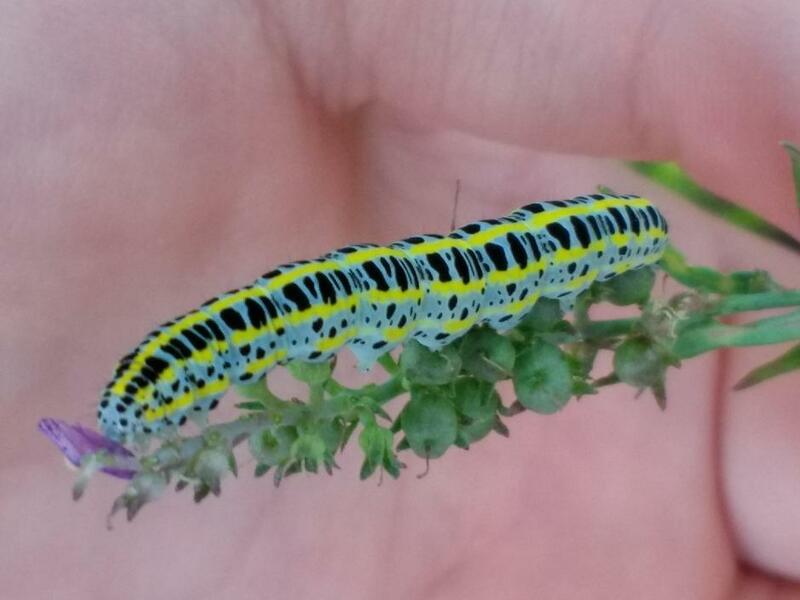 We have Anna and Katie's dad to thank for expert identification of these beautiful caterpillars, which are happily munching through a toadflax bush in the grounds of the school. They are the caterpillar of the Toadflax Brocade Moth and their fancy scientific name is Calophasia lunula. "Damage to the plants is done by the voracious feeding of the caterpillars. 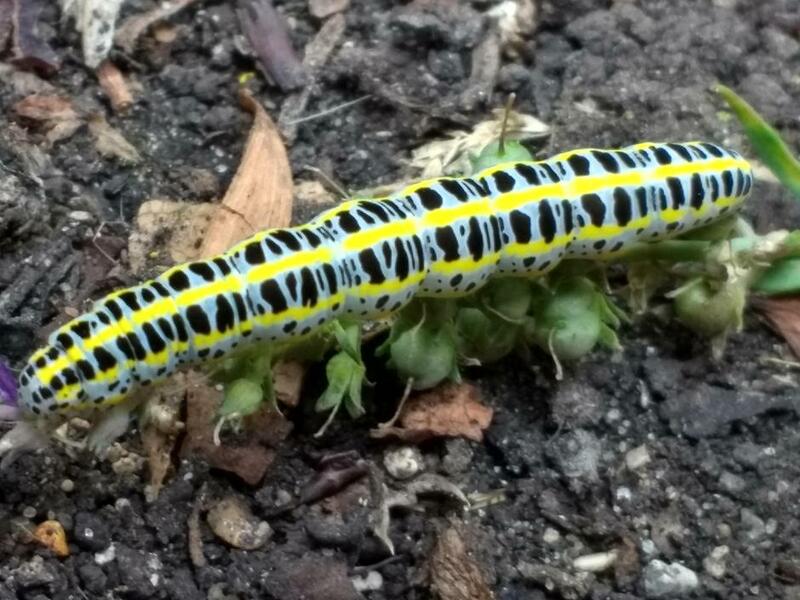 They consume all the new leaf and flower buds first and then move on to eat stems, leaves, and flowers, often to the point of complete defoliation of large numbers of toadflax plants."